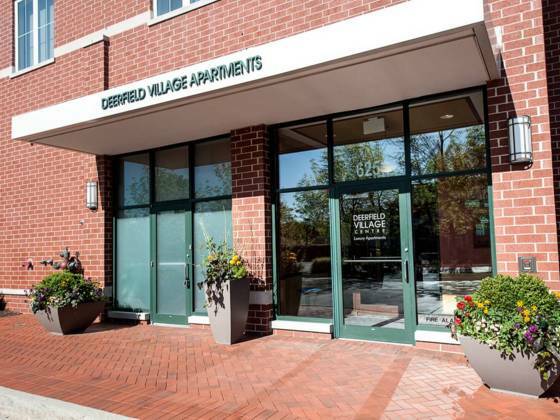 'Community' is a big part of the appeal at Deerfield Village Apartments - it represents suburban living with a city lifestyle. Located on the North Shore outside Chicago, the complex has a great location. You will be able to walk to shops, dining and entertainment. Retailers nearby include Whole Foods, Barnes and Noble, great restaurants and many more. The Metra train to downtown Chicago is within walking distance from the complex. A summer concert series is held in the fountain area at the complex. There are 56 units and 56 different floor plans - your apartment will boast your own unique style. We've made sure that your apartment home will not only be beautiful, we've provided for your safety and convenience as well. Two hydraulic elevators serve the garage and all apartments floors. There are fire alarms, sprinklers and emergency stair exits throughout. Come see for yourself how Deerfield Village Apartments can provide you the best of all worlds.